What am I hiding from? Does God really see and know me? Does he love me? What does my busyness keep me from facing? What makes me scramble for affirmation? Who do I think I am? Who does God say I am? What is my true identity? Have you ever considered such compelling questions? I have. 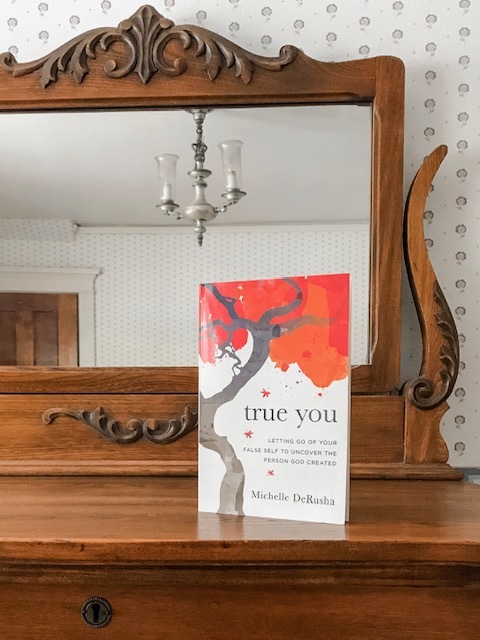 Author, Michelle DeRusha, explains in her book, True You, that in the midst of a quiet practice, she encountered a similar question that came softly from within. I enjoyed this book, so full of scripture, personal experience, quotes and references. Michelle even offers the reader the opportunity to consider, at the end of each chapter, questions that reflect on ideas presented in that section. She encourages us to sit for regular periods of directed rest so that these answers can come quietly. I believe that to be fellowship of the sweetest kind! This is a lovely book. I highly recommend that you take a look at it. You can find it at Barnes and Noble or Amazon. What about you? Have you developed a practice of quietly sitting with God, listening and waiting for him? If so, I’d love to read about it in the comments. Or if you have questions about the practice or the topic, I’d be honored to address them as well.